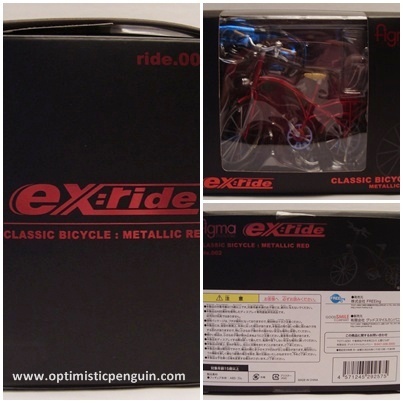 FREEing have recently been bringing us a number of accessories for Figma's called the Ex:Ride. Today's review is of the Classic Bicycle by FREEing. The Classic Bicycle comes in a black box with nice metallic red writing on it. The front has a nice window to view the item, on the back is all the relevant information, in Japanese, and on each side is the name of the series and the item. 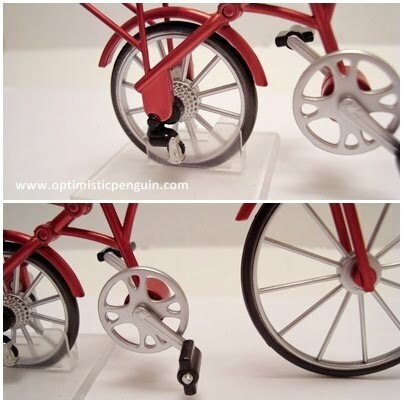 The Classic Bicycle comes with a little stand which just helps steady the bicycle and hold it in place when on display, a nice little addition. The Classic Bicycles sculpt is pretty much straightforward because it is that of a classic bicycle. However there are some nice features to the bicycle, the handle bar moves side to side turning the front wheel, both the wheels actually turn as do the peddles, and the a stand that goes up and down to hold the bicycle up. 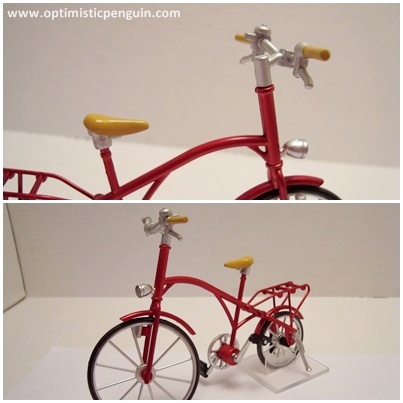 The bicycle is very delicate as its made of plastic and has some very thin parts, but it is nicely detailed and well constructed. 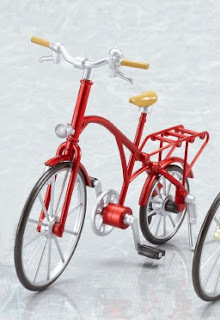 This is the Classic Bicycle Metallic Red. 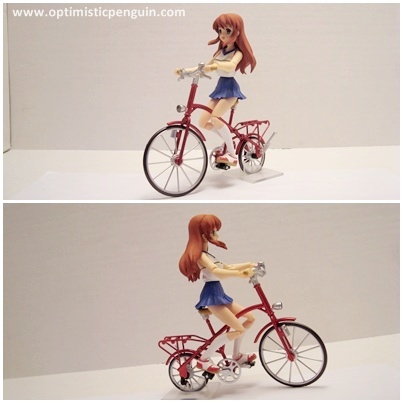 The Classic Bicycle is a pretty awesome accessory, although it takes a little while to get Figma's sitting on it right it is rather awesome, and they just look great, riding around on a red bicycle just wonderful. I am looking forward to more fun items from FREEing.